Matsushita Otoman, Tiger, c. 1820, ivory, collection of Sue Horn-Caskey and Rick Caskey. Japanese netsuke are small, exquisitely carved sculptural objects that originally served to secure personal items to the kimono sash. Their utilitarian function declined as the kimono fell out of fashion, but their popularity as a collectible and souvenir ensured the continuation of the rich carving tradition. Historically, the sculptures were inspired by nature, myths, masks, and religion. 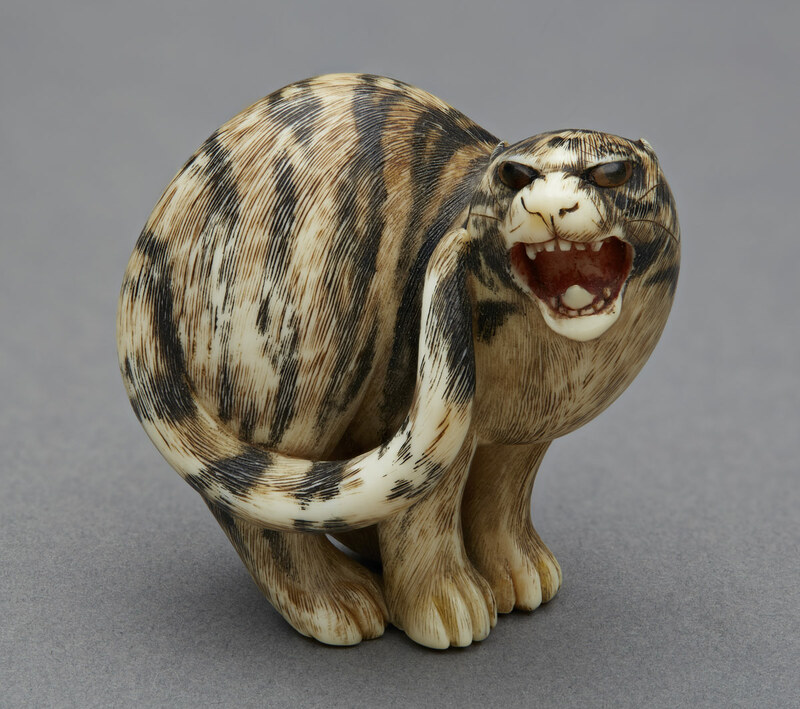 As the name implies, this exhibition features a collection of animal-themed netsuke in all their diminutive, furry, and fierce splendor.